When will be Captain Flinn and the Pirate Dinosaurs next episode air date? 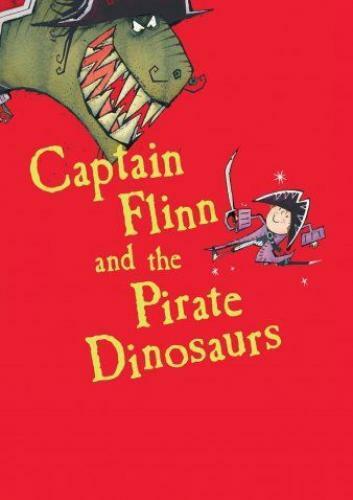 Is Captain Flinn and the Pirate Dinosaurs renewed or cancelled? Where to countdown Captain Flinn and the Pirate Dinosaurs air dates? Is Captain Flinn and the Pirate Dinosaurs worth watching? Each episode is full of swashbuckling fun as four kids Flinn, Pearl, Tom and Violet, set sail on a pirate ship to keep despicable, prehistoric, pirate dinosaur baddies from doing wrong. These four seafarers boldly go where no young ones have gone before in silly pirate adventures full of vivid action and laugh out loud physical fun.The irreverence, general silliness and flagrant disrespect for pirate dinosaurs are wrapped around a message of simple empowerment: sometimes when you face your fear you'll notice it's wearing a milk moustache (underneath that eye patch).In Captain Flinn's world, he and his crew are the only kids, and it's up to them to keep dinosaurs and pirates in line. They sail a sparkling blue sea dotted with jungle islands, sandy beaches and treasure caves. There are plenty of places to visit… villages full of fancy folk or jungles full of ferocious fiends.The world of the series is an archipelago of islands that lie in the Seven-and-a-half seas. It is full of pirates, pirate dinosaurs and village folk, real animals & sea creatures… as well as mythical beasts and a few sea monsters. It is a world where magic can exist – such as a magic cutlass that grants wishes, or where True North can be stolen… and is full of salty pirate tales, curses and superstitions… but only very silly ones. The crew of the Acorn wakes to discover someone has stolen many of their precious belongings, including Flinn's Captain's hat. Assuming it's the pirate dinosaurs, they spring a surprise attack on their ship, only to discover they were wrong! When Flinn and his crew are arrested by the King's men for stealing treasure, they realize that another group of pirates is sailing the Seven-and-a-half Seas pretending to be them. The crew goes in search of Stubble's missing wooden spoon and accidentally finds themselves on a ghost ship, trapped inside a labyrinth filled with perplexing puzzles and baffling booby-traps, including an upside-down room and a Bermuda Triangle. The Goodest Goodies take Russell to 'Piratey World' to cheer him up. The pirate dinosaurs are running the show. Captain Flinn and the Pirate Dinosaurs next episode air date provides TVMaze for you. EpisoDate.com is your TV show guide to Countdown Captain Flinn and the Pirate Dinosaurs Episode Air Dates and to stay in touch with Captain Flinn and the Pirate Dinosaurs next episode Air Date and your others favorite TV Shows. Add the shows you like to a "Watchlist" and let the site take it from there.